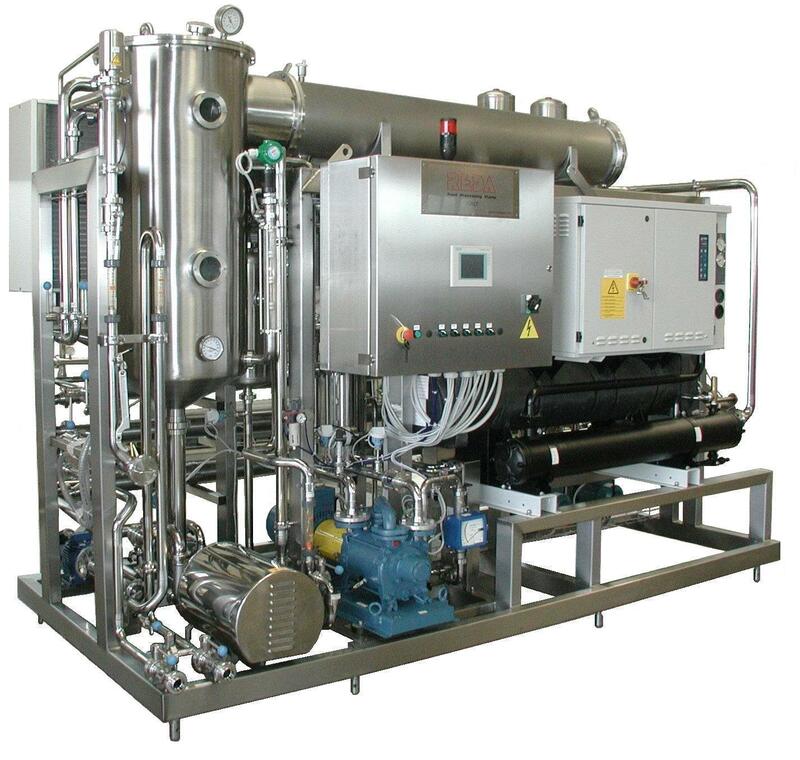 This new dealcoholization system is designed to be used for wines dealcholisation through low temperature distillation. With this innovative technique only part of the wine comes processed (10/20% of the mass) while the remaining will be not touched. A great advantage for preservation of wine quality. The treatment foresees a fast “cold distillation” of the wine at +15°C with extraction of an evaporate mixture with 50°/60° Alcohol. Aromas recovery system will be selected in case of aromatic wines process. The very low process temperature and the great flexibility of REDA dealcholizer allow to get final wine with -1°/-2° Alcohol very well balanced, fresh and aromatic. The best results are obtained in absolute terms by intervening at the end of wine fermentation thus allowing it to find immediately a perfect balance and not to be disturbed anymore. Finally, in case of raining season before grapes harvest, the unit can work as a classic low temperature concentrator for the self-enrichments of must always through under vacuum evaporation at +18°C/+22°C.